The last thing you probably want to worry about is another social media platform, but are you LinkedIn? Because if you’re not, you should at least know why you might want to consider it. LinkedIn is a great platform for building brand awareness. LinkedIn is all business without the clutter of who’s eating what where that you find on sites like Twitter and Facebook. LinkedIn might not seem like as much fun as other platforms, but that’s exactly why your brand should be there. When it comes to LinkedIn, it’s all about business, it’s all professional. That means, LinkedIn has the tools your business needs to showcase your products, services and brand. Company pages on LinkedIn allow you to have banner images and about sections where you can enter detailed information about products or services you offer. 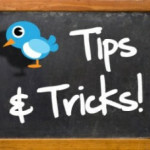 You can create polls and get useful insights about your followers. LinkedIn can help you build an interactive group of engaged professionals. Its reach is more than 200 countries wide and includes executives from all fortune 500 companies. LinkedIn is a great space for you to generate business leads. Why? Because businesses are on LinkedIn and looking to do business there as well. Your LinkedIn audience is connected to others who want to do business and are looking for trusted sources. 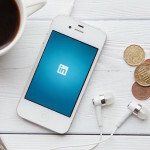 Having a LinkedIn presence will increase word of mouth about your brand and allows your connections to easily recommend you to their connections. Your LinkedIn connections will recommend you, because you’ve establish your expertise with them. 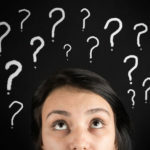 Experts and decision makers are on LinkedIn, and your business should be one of those experts reaching decision makers. The updates you post on LinkedIn and the discussions that you start are one way to advertise yourself for free. Posting comments and insights into other people’s group discussions is another great way to get your brand in front of others interested in what you’re doing. 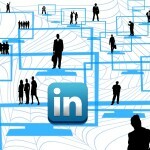 Users look to LinkedIn as a way to crowdsource reliable information. Your brand should be part of that conversation because you are an expert at what you do and have something valuable to share with other LinkedIn members. Creating your own group is another way to showcase what you know about your industry. Creating your own group establishes you as a thought leader and gives you an opportunity to highlight your own content. Not sure how to manage your own group, check out these tips. LinkedIn can certainly help you build brand awareness. I haven’t even touched on services you can pay extra for like self-service ads, or the way it can help you recruit talent, or the way the LinkedIn communities can answer your own burning questions, and strategically placed keywords in your profile will boost SEO. What I hope I have conveyed to you is that LinkedIn is definitely a platform worth investigating. It’s time to get in with the LinkedIn crowd. 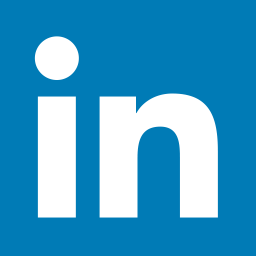 To start, how about checking out the Allée LinkedIn page and let us know how your company plans to use LinkedIn this year?